Harbert United States Real Estate Fund VI, L.P. (“HUSREF VI”) recently acquired Plaza at Solana, a 359,873 SF mixed-use property comprised of two office buildings totaling 315,458 SF and one retail building totaling 44,415 SF located in Westlake, Texas, a suburb of Dallas-Fort Worth. Originally built for IBM in 1988, Plaza at Solana was designed by award winning architect Ricardo Legorreta. The office buildings boast underground, structured parking and efficient, rectangular floor plates. Adjacent amenities include a Marriott hotel, a 38,000 SF world-class fitness center, and numerous jogging trails, all in a park like setting with mature foliage. HUSREF VI targeted the asset as an attractive acquisition opportunity given the strength of the surrounding area, the quality of the tenants, the stability of the in-place cash flow, and the transaction’s multiple sources of upside. At closing, the office and retail buildings were 91.9% and 63.7% occupied, respectively. Plaza at Solana is situated near the border of the Dallas-Fort Worth suburbs of Westlake and Southlake, both of which rank as two of the most affluent suburbs in the state of Texas. The location offers easy access to the entire north Texas region via SH-114, US-377, and I-35W. 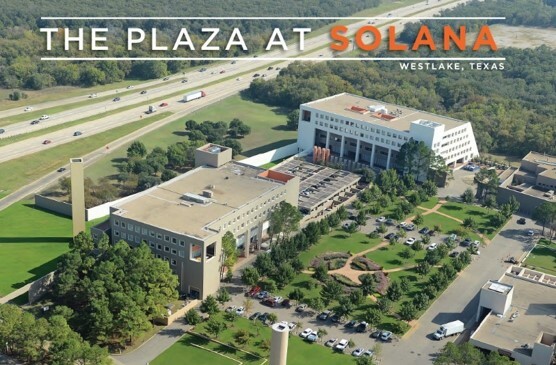 Plaza at Solana is one of the few multi-tenant assets in a single-tenant dominated market and is adjacent to several of DFW’s largest corporate campuses, including Deloitte (715,000 SF campus), Fidelity Investments (4,500 employees), and Sabre Holdings (3,000 employees). The transaction closed on June 7, 2016.